Holding • Holding on to the power of health and wellness beyond lupus. Believing that it is possible to be better, to be well, even when we are at our worst. Holding on to the possibility of a cure and complete total healing. On • On top of advocacy for yourself. On top of education about your own lupus issues. On the ball with communication with your doctors, family and friends about all that goes on with you as you battle lupus. Being On top of being honest with yourself and others about how you really feel in order to not overdo it. 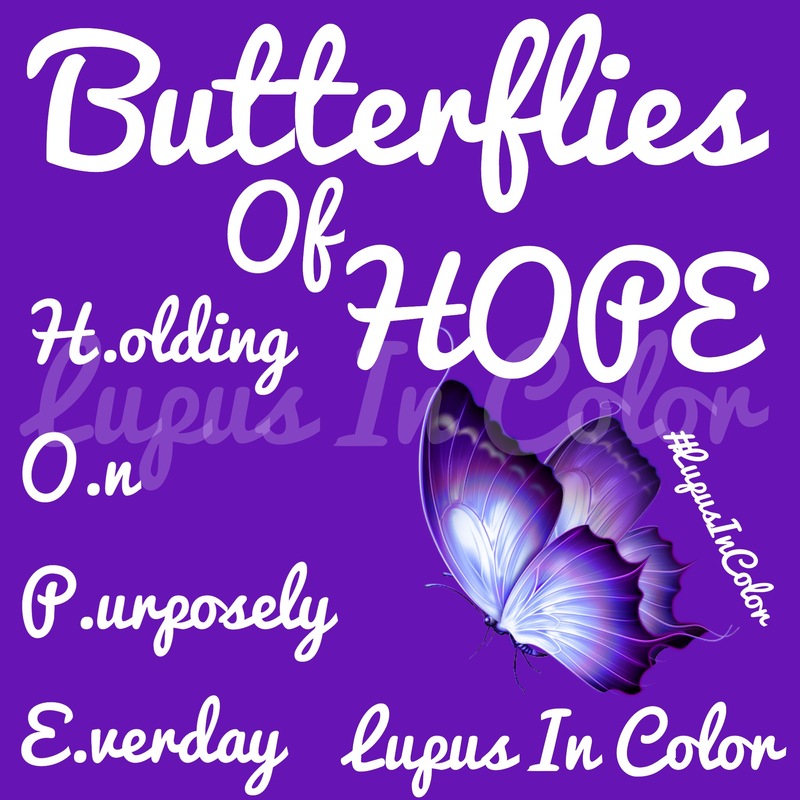 Purposely • Purposely living in spite of Lupus. Living in the purpose of getting better a nanosecond at a time. Being purposeful in reminding yourself of the importance of being well mentally and spiritually even when your body is not cooperating and you don’t want to be. Staying determined to stay purposeful in thinking right so that your body will respond with feeling right beyond lupus. Staying purposeful in your plan to defeat lupus at every turn. Living in purpose beyond lupus to lead a purposefully powerful life. Everyday • Every day in every way making a conscious effort to get up, get dressed, get out and live beyond lupus. These everyday activities make a huge difference in your fight. Lupus can stifle your will to live. It can take your everyday and create a plethora of feelings that remove your spark to live. Every day you must make a concerted effort to change the way you think, act and react to living with lupus. Every day you must realize that live is amazing beyond lupus’ constraints and live with everyday activities that create a more positive tone in your fight. Every day you have to live like you mean it.